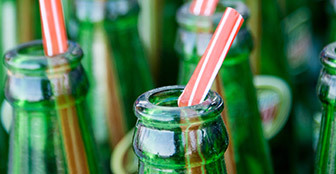 Anyone caught strawpedoing, downing high-sugar alcopops while using a straw to avoid creating a vacuum, in the Edinburgh University Students’ Association (EUSA) club on Potterrow now face being thrown out by staff. But angry undergraduates have condemned the move. An online petition calling on EUSA to "Un-ban the Strawpedo" has been launched. Tasha Boardman, EUSA’s vice-president services, said: "We have a responsibility to operate in a socially responsible manner in accordance with licensing law. We had been seeing an increase in strawpedoing which is not deemed as responsible consumption under licensing legislation, which we have a duty to uphold." Dr Sarah Jarvis, medical adviser to alcohol education charity Drinkaware, says that strawpedoing could put students at risk of "drinking too much, too quickly".